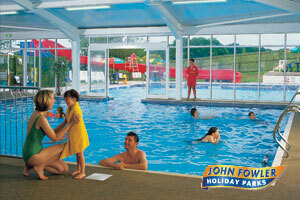 South Bay Holiday Park is located near Brixham on the ever popular English Riviera. Torbay has a number of beaches and attractions that make it one of the top holiday destinations of the country. South Bay Holiday Park has some good facilities that include an indoor pool which is joined on to an outdoor pool when the weather permits. There are other activities available on the site, that are sure to keep all members of the family happy. This includes a clubhouse that has entertainment and bingo.